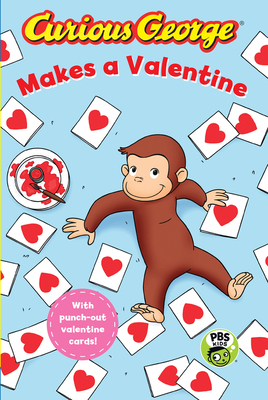 Celebrate Valentine's Day with Curious George in this Level 2 Green Light Reader, based on the Emmy Award–winning PBS TV show. George wants to make Valentine’s Day cards for all his friends, but even with four paws, it takes a long time to create homemade cards for everyone. With a little help from sponge shapes, red paint, and a waffle iron, George creates the first ever monkey Valentine’s printing press!